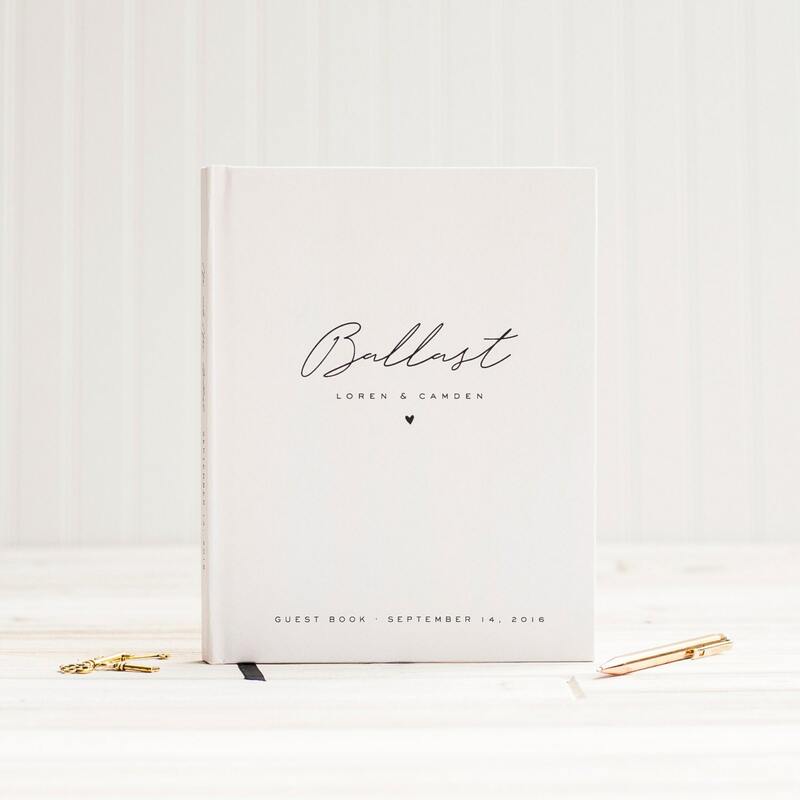 This custom wedding guest book can be personalized with your new shared surname, first names, and wedding date, with a simple heart detail to pull it all together. 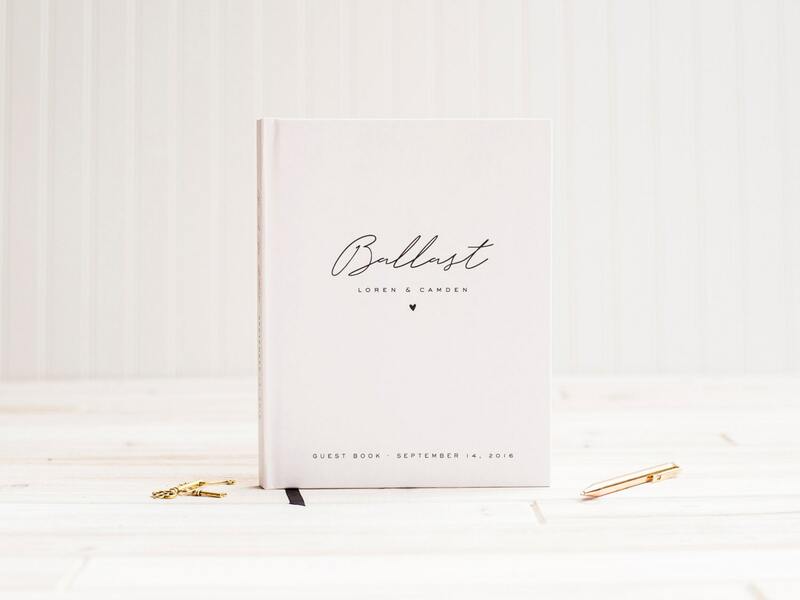 This hardcover wedding album for your Best Day Ever will hold memories from your friends and family or photos of the big day. Modern, understated fonts provide a minimalist style. Now available in three custom sizes, with lined, blank or black pages to suit your needs. 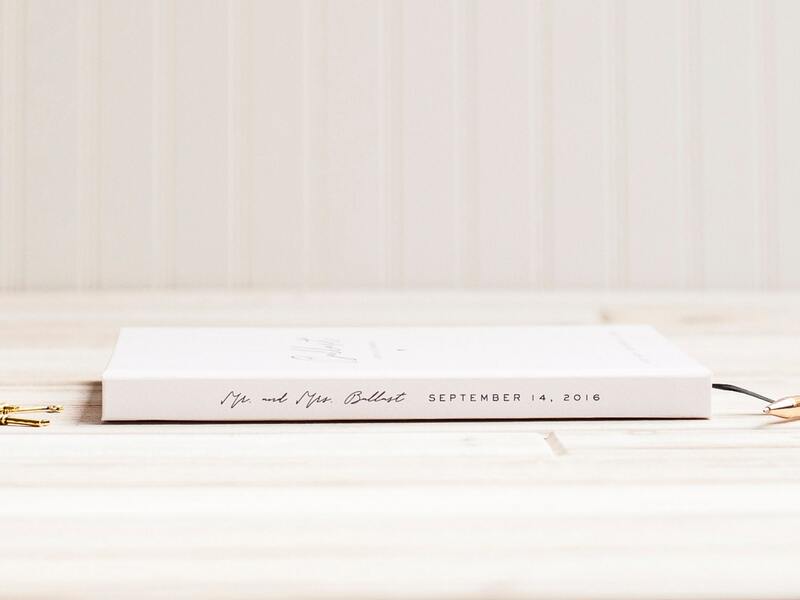 Your new "Mr. and Mrs." is on the spine along with your date or 3-4 custom words of your choice.